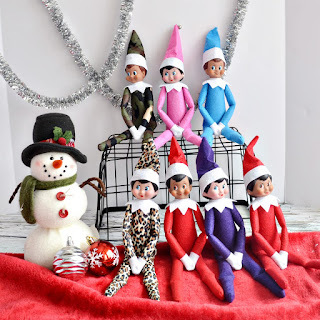 Love these Holiday Visiting Elf ONLY $10.99 (Retail $18.99). Get your home ready for the wonder and excitement of the holidays with this visiting elf! Kids love all the fun and mischief these little dolls bring. Dolls measure approximately 14inches long and have a soft cloth felt body with a plastic face.